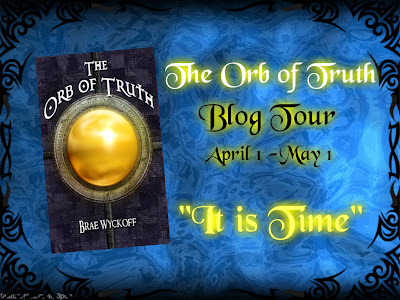 I am pleased to have Brae Wyckoff the author of the epic fantasy, The Orb of Truth, with me today. **Please tell us a little bit about yourself. Where do you live, etc.? When did you start writing? I live in beautiful San Diego, CA. I have been writing for over 20 years but it was the last two years that I have aggressively decided to go full time. **Tell us a little about the book and where did you get the idea to write this story. 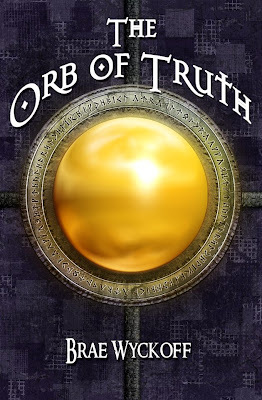 The Orb of Truth is a classic adventure set in a realm filled with good vs evil, magic, and intrigue. 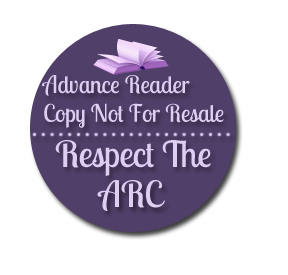 I love to take my readers on an incredible journey where they will be whisked away from reality and become friends with the rich characters of Ruauck-El. 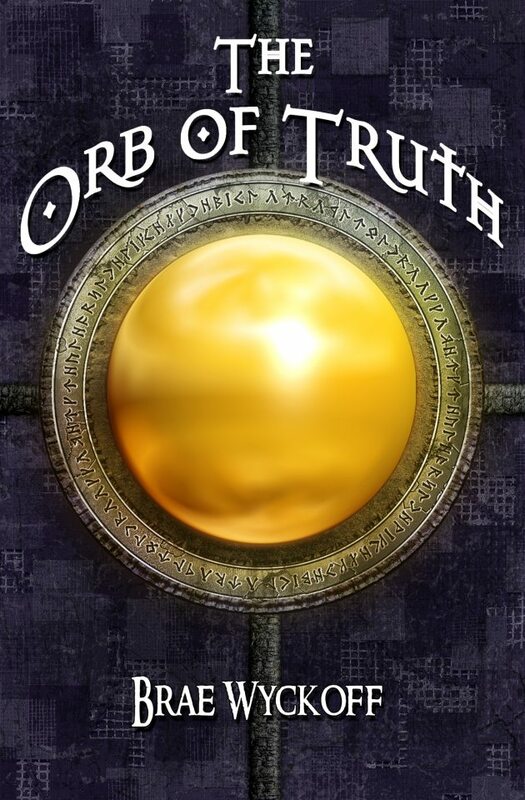 If you love Lord of the Rings then you will love The Orb of Truth, first book of the series. 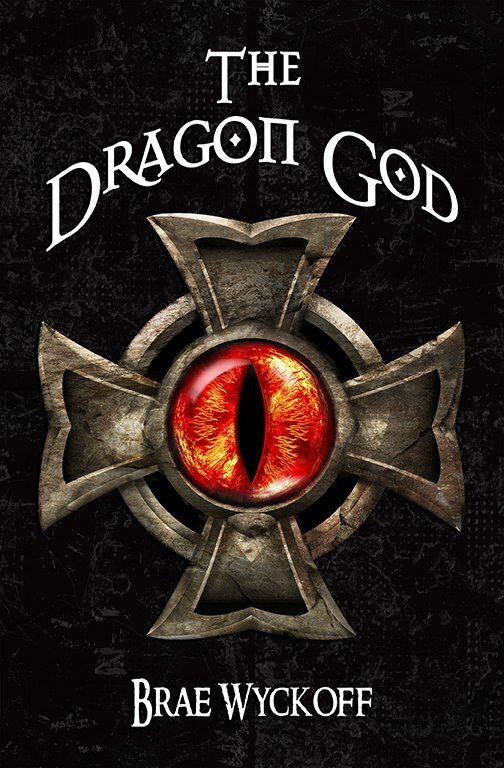 The sequel is due out later this year (2013) and is called The Dragon God. The idea came to me in a vision several years back and since then it has longed to be set free and written. Well, it finally happened and now everyone gets to enjoy the adventure that I was divinely taken on. **What advice would you give to aspiring writers? Write what you know, write what you are passionate about, and write with excellence. Get your work professionally edited and get your book cover professionally designed. You are leaving behind a piece of you for the world so make sure it is the best it can be. Invest in yourself. **Are you panster (write by the seat of your pants) or plotter? How do you write? I outline my books from beginning to the end. This gives me the structure to work from. Now, at the same time, while I write, the story will evolve and will change along the way, but the storyline never changes. I know what needs to be told and that is what I go after. I’m a storyteller and love to engage the readers in such a way that they feel like they are on the adventure as well. **Do you have a character in one of your books that continues to haunt you at night or surprised you when you wrote the book? Each of my characters have surprised me and continue to do so. I guess the main character, Bridazak, a Halfling, has surprised me most and it is his story that I truly relate to. Bridazak longs for meaning in his life and wants to know his purpose in the world. This is something that I was plagued with growing up until my destiny was finally revealed to me. I’m now walking that path out with my characters. **What route did you take for publication? 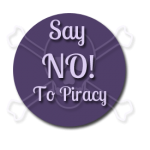 I created my own publishing company! 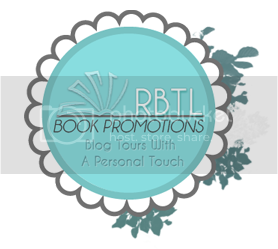 LR Publishing. 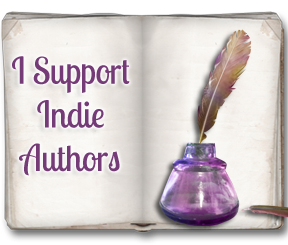 The idea behind it was to have my own control and to help other authors along the way of the crazy world of publishing. Once I branded myself I then went through the giant of the industry, Amazon. **Do you write full time or work outside of the home? I write FT currently along with my own businesses that I run out of my home. I am also a radio host for Broadcast Muse blog talk radio. I’m always involved with something. **How do you balance writing and everyday life? You would think that I could get a lot of writing done at home, which I do, but I find I can get more done when taking my laptop out on the road. Vacations are a great place for me to write so I plan on weekend getaways into the mountains. I also frequent my real office, Starbucks, to get more writing done. 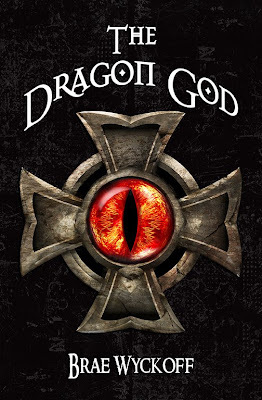 The sequel is due out later this year and is called The Dragon God. It is currently with my editor and we are tackling the story line by line. Initial beta reviewers are saying the 2nd book is better than the first, but my first love is always The Orb of Truth…the birth of the heroes of the Horn King Series. I am divulging exclusive information at my Official Fan Club facebook page and have already introduced the fans to a new character that is sure to capture the hearts of the readers. It is gnome thief named Trillius. Make sure you go to the Fan Club and join today. **Do your books have a particular theme or premise? My books revolve around good old fashioned adventure but underlying that there is a message of hope and destiny. Each of us live by choices we make and it is no different in my books. Heroes rise and villains fall only to be replaced by new enemies. My stories are known to make people laugh, cry, and fall in love with a new world filled with magic and intrigue. **Anything else you would like to share with our readers? I’m hard at work at bringing you all the best epic fantasy series that can stand toe to toe with the greats. I’m writing the 3rd book now called The Vampire King and it is scheduled to be released in 2014. I love to hear from the fans so please be sure to contact me. Here is a scene in The Orb of Truth with the heroes trying to find out information by seeking a creature that “knows of magic beyond magic itself”. “Who dares to enter my domain?” The deep voice bellowed. “A mystery, one that came from my dream. We seek your help, oh Great One,” said the Ordakian. “Show me what has turned from a dream into reality." Bridazak produced the ornate box in his small hands, and began to speak, "We don't know what the writing—"
“Silence!” The ground shook under their feet. “I know what you seek, but you must answer my riddle. 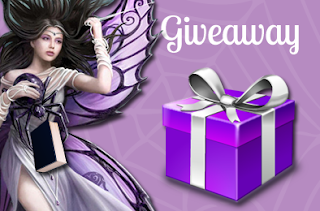 If you are correct, then I will reveal to you the meaning of this gift. If you fail, then you will be sent to the grave. There will be no rest inside the gates of the netherworld, your soul will thirst for death again for all eternity and generations forthcoming will never know you existed." Never to move to touch, only to feel a sweet caress. As the heroes of Ruauck-El emerged triumphantly in The Orb of Truth, the first book in the Four Horn series, they could not have imagined that an even greater evil still lay ahead of them. Thank you for having me on your blog. It was a great interview!